Luxury Beach´s point of difference is our holistic approach to excellence in service delivery and the fostering of collaborative relationships with owners. Our team´s vast experience in Real Estate Sales, Rentals and Property Management and Concierge Service provides owners with the turnkey services they require while allowing developers to deliver on their sales promise. Our dedicated service for owners ensures their property is ´always ready´ should they choose to rent or return home without advance warning. Luxury Beach differs from many other property management service providers by having a fully trained team on site to deliver a seamless and professional service to owners, their families and guests. Our Response Time Service Promise Guarantee is designed to answer every property need in a courteous and efficient manner ensuring peace of mind for owners and the HOA. We also take the stress out of the vacation rental property management for those that have bought rental properties. Our fully trained associates are on call to coordinate rental bookings, inspect and prepare the property before owner or guest arrival, and ensure internal and external properties are maintained at excellent levels. Luxury Beach is committed to the highest level of quality and, at the same time, recognizes the need to keep expenses low and offset expenses with income. 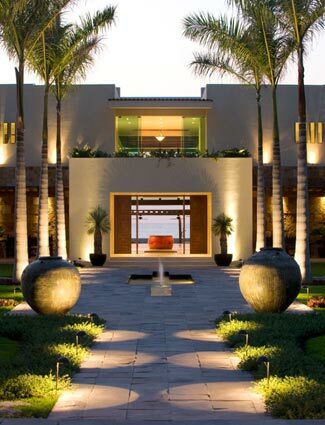 We work in partnership with the HOA to generate a profit for the owner´s through the resort´s on-site revenue centers in order to build the reserve fund and maintain the exceptional standards at the property to preserve the brand´s equity, developer reputation and property values.